12-Egg Holders With Lids Set Of 2 Just $14.99! You are here: Home / Great Deals / Amazon Deals / 12-Egg Holders With Lids Set Of 2 Just $14.99! 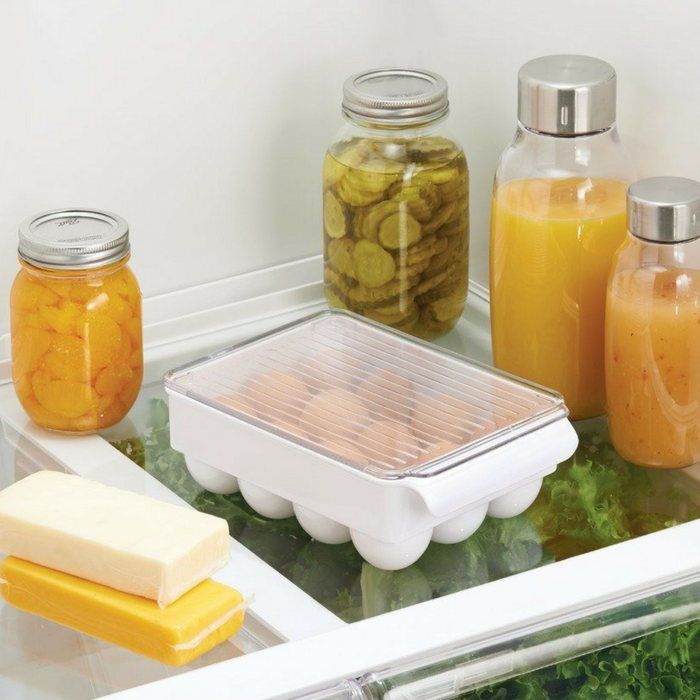 This is a better way of storing eggs on your fridge! At Amazon, you can score this 12-Egg Holders With Lids Set Of 2 for just $14.99 PLUS FREE shipping with Amazon Prime or for orders over $25! These egg holders keep eggs protected and provides a durable, stackable lid for additional storage! Use in the office or college dorm room refrigerator to separate personal food items. The unique pull handle makes it easier to quickly reach for and carry items. Nice!